Josh Burton :: Animator/Storyteller Josh's ramblings and maybe a sketch or two...: It's coming! Sorry for the lack of updates. I figured I could either work on Morphy or I could ramble on here about updates, so I'll keep it short. 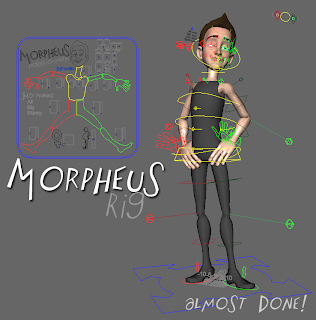 Been doing lots of final stuff on the rig and it's ready for open release candidate status. Just trying to get everything together for the release pack. Wrapped up work on my gig last week so been working on Morphy since then as I've had time. Start working on how to use the rig vids after that. 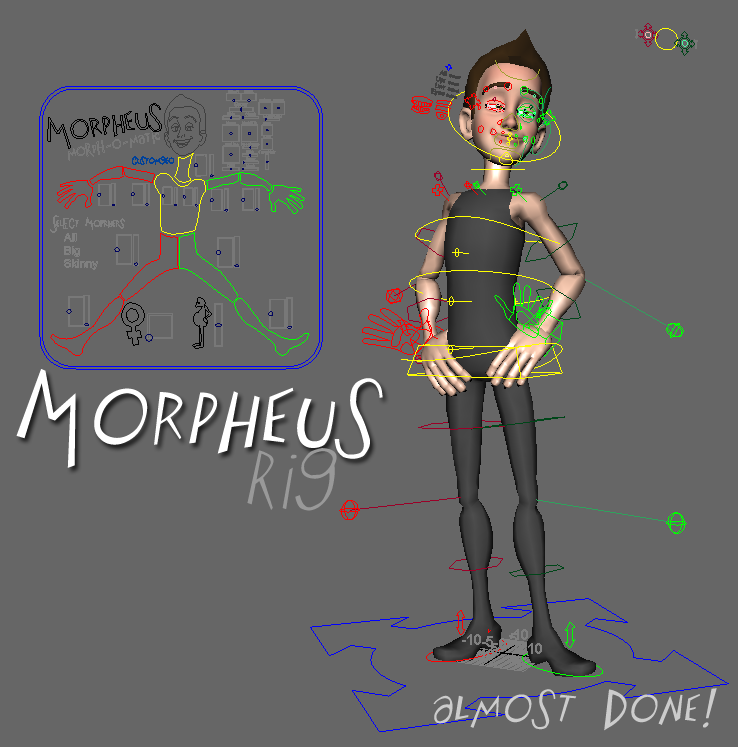 Planning on an "Intro to the rig", "Making Morphy Yours - face" and a body variety of that one too. Looking at using Jing to do those vids. Anyone have any better suggestions? I'll be patching in some fixes and cleaning things up through the release candidate testing phase. My buddy Scott Englert is helping out on a wrist issue for me.